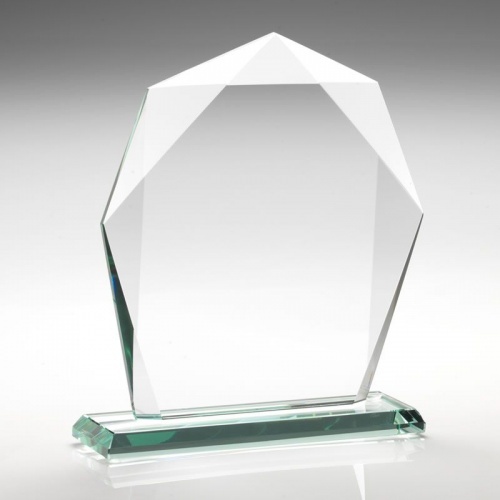 Attractive modern award crafted in 10mm jade glass featuring multifaceted plaque on bevelled base. 8in tall. Supplied presentation boxed. Can be engraved on the large flat front of the award. Colour print option available - please use the Request Quote tab, above, to get quotes for colour print options. This 8in jade glass plaque is also available in two smaller sizes - see Related Products, below.